God delights to transform lives… including your own. If you’re like most women, you have things in your past you’d like to forget. The result? Guilt. Pain. Shame. You feel unworthy to move on, to serve God, to be free, and to know peace. While the enemy loves to shackle you with accusations, the Lord loves to extend grace and forgiveness. 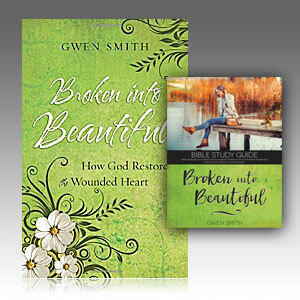 In Broken into Beautiful, singer and songwriter Gwen Smith invites you to hear the stories of women with shattered dreams, shameful secrets, and damaged souls…and of the loving heavenly Father who makes them beautiful again. He can restore your brokenness too. Experience how the unconditional love of Jesus can change your life and then stand back and watch the wonder of grace at work. He is willing to eternally forgive and forget and to transform your life into something beautiful. 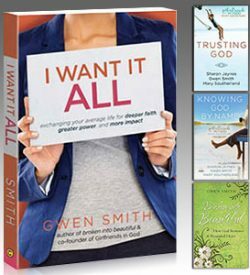 The downloadable companion study designed to coordinate with the chapters and content of Gwen’s book, Broken Into Beautiful. It will help you connect the lessons of Broken into Beautiful with your life by taking you straight to the Word of God, then encouraging you in times of prayer, reading, and reflection. 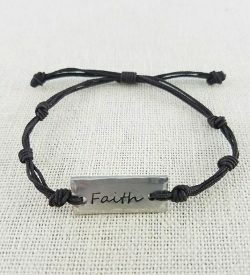 Perfect for individual or group study. STUDY OVERVIEW: If you’re like most women, you have things in your past that you’d like to forget or things in your present stressing you out. The result? Guilt. Pain. Shame. 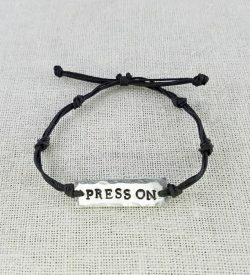 Frustration. You feel unworthy to move on, to serve God, to be free, and to know peace. While the enemy loves to shackle you with accusations, the Lord loves to extend grace and forgiveness. God is all about restoration, friend. He wants to bring you beyond your past mistakes and your present challenges to His wholeness, strength and beauty. 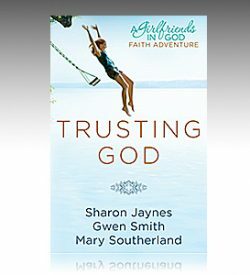 That’s why GWEN SMITH wrote a Bible Study to coordinate with her book, “Broken Into Beautiful, How God Restores The Wounded Heart.” This interactive, Bible and book study will help you to exchange your fears, failings and frustrations for the hope and healing found in Jesus. Stop shame from blocking God’s blessings. Allow God to heal any wound and break free from control of the past. Share healing with other hurting women to redeem painful memories. Rediscover the joy that helps keep life in perspective. Experience the life changing unconditional love of Jesus and the wonder of grace at work with the BROKEN INTO BEAUTIFUL study!